If you ever find yourself with the home network down because something is wrong with your modem, or you have gone over your data limit, or there is a problem at the exchange server through no fault of your own, you can create a mobile WiFi hotspot. With a mobile WiFi hotspot, you can use the mobile data coming from the Samsung Galaxy S6 and S6 Edge for your internet browsing from other devices around the home by connecting to the mobile via WiFi. Mobile hotpsots for the Samsung Galaxy S6 or the Samsung Galaxy S6 Edge smartphones aren’t usually all that popular as a result of most people always having more data available from a home internet network than a mobile data plan usually allocates. However, there are some exceptions to that generalization. Some people can have a mobile data plan that allocates 50 GB’s and they might choose to not have a home network running. It all depends on your circumstances as to what’s the best option for you. Before getting started with using Samsung Galaxy S6 as a mobile hotspot, you should know that the connection won’t always be as strong as your home internet connection. Finding out how well the mobile hotspot on the Samsung Galaxy S6 works will depend on your area and how the mobile service usually holds up. Since we rely on mobile towers to offer us the connection, you can expect the signal strength to be stronger where there are more people. The coverage is dictated by the companies, who decide how much money that want to invest in an area. That’s why when you are in a rural area, you might find a weaker connection. Navigate to the Settings > Mobile hotspot and tethering. Tap the ‘Mobile hotspot’ option. Do not yet activate a hotspot network. Click the ‘More’ option from the top right side. Click the ‘Configure Mobile hotspot’ option. Wait for the new mobile hotspot window to popup and enter your choice of Settings. Choose a WiFi hotspot name, security level (set it high if you are not sharing it) and a password. If you prefer, click the ‘Show advanced options’ and set a broadcast channel. Click the ‘Save’ button when you are happy with the changes you have made. Now that we have chosen our preferences for the mobile hotspot, it’s time to enable the mobile hotspot. Toggle the mobile hotpot option to the ‘On’ position. You can connect up to 10 devices to the Samsung Galaxy S6 mobile hotspot. 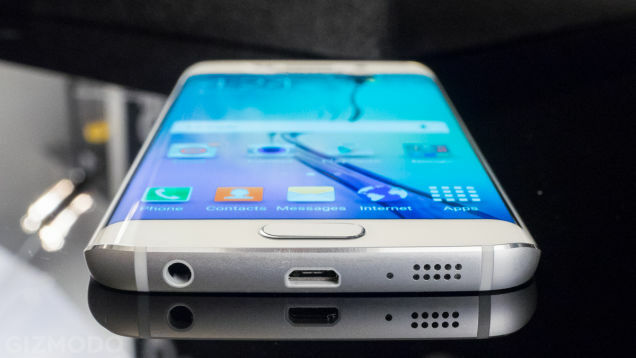 The Samsung Galaxy S6 and Samsung Galaxy S6 Edge will show the devices connected to the mobile hotspot. Furthermore, you can easily disconnect any device that is connected from the Samsung Galaxy S6/S6 Edge too. The person with the Galaxy S6/S6 Edge is the person with the power over the devices connected. It logically needs to stay that way since they are the one offering up the connection.